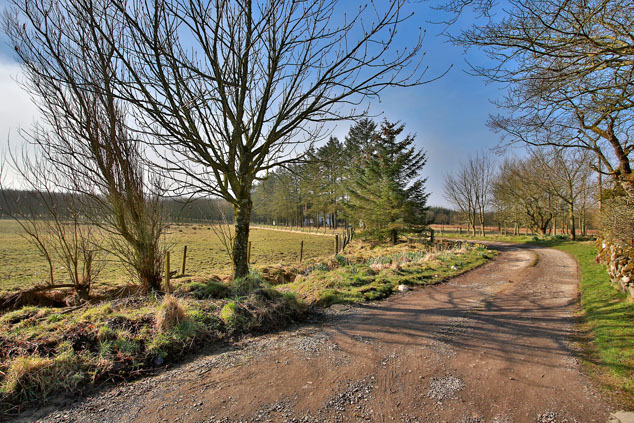 Plot with steading with planning permission for dwellinghouse (in the course of conversion). Further land available by sep neg. Price around £110,000 Entry by arr. Viewing 07860 253266 or contact solicitors. 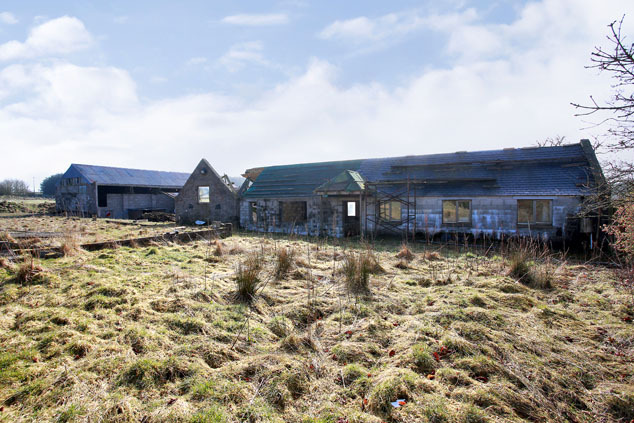 A rare opportunity has arisen to acquire this unique development opportunity, and on completion, will offer an outstanding level of accommodation in an ideal country setting. This former U-shaped steading is in the course of conversion, with some of the works already completed. 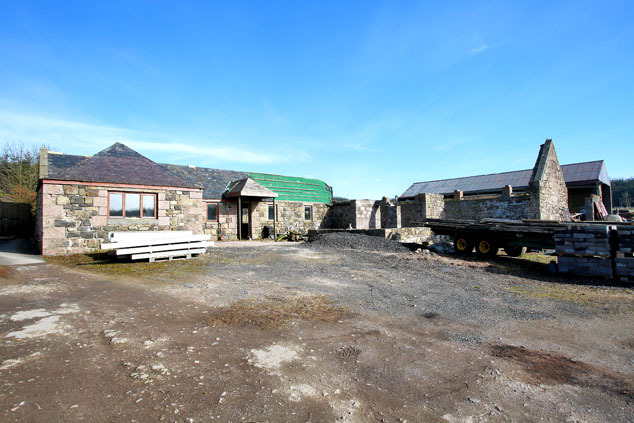 The steading is fully serviced with septic tank in place and water supply to a shared well. The granny annex has been part developed although it is unclear whether these works comply with current regulations. 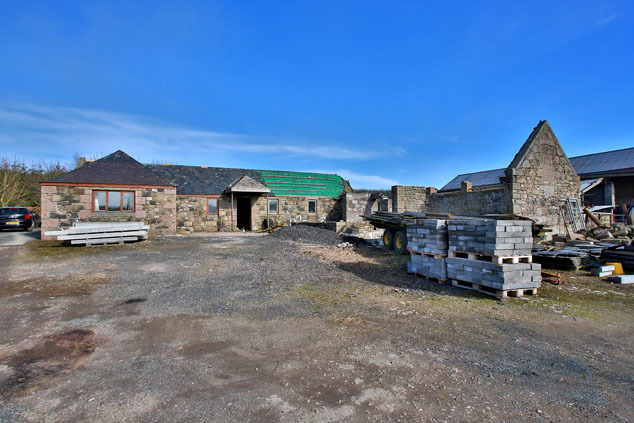 On completion, the purchasers will have the opportunity of residing in an excellent country setting, away from the pressures of the city, and yet will not be isolated, and within easy commuting distance of Peterhead, Aberdeen, Bridge of Don and Dyce. This is an excellent opportunity for the purchaser to create a beautiful, individually designed home and early viewing is highly recommended. Further details are available through the Selling Agent’s Ellon Office. Ellon is a thriving country town on the banks of the River Ythan situated midway between Aberdeen and Peterhead and only 15 miles from Aberdeen Airport. There are ample shopping, sports and recreational facilities with excellent local amenities. Ellon also has a good academic reputation with three primary schools and the new Ellon Academy Community Campus with sport and recreation facilities. Main Dwelling: Vestibule, Kitchen with Dining Room, Hallway, Lounge, Dining Room, Study/Bedroom Four, Master Bedroom with En Suite Shower Room, Two Further Bedrooms and Bathroom. Granny Annex: Hallway, Lounge, Kitchen, Two Bedrooms and Bathroom. Planning Permission Certificate of lawful use or development for conversion of steading to form dwellinghouse and granny annex (ref F/APP/2015/2597) dated 13th October 2015.Copies of the plans and permissions are available for inspection through the Selling Agent’s Ellon office. Land Land is available to purchase under separate negotiation through the sellers. Services Drainage to a septic tank. Private water supply to a shared well. Mains electricity connected. Directions From Ellon, proceed north along the A948 Auchnagatt/New Deer road. Continue for approximately 4 miles and turn right at the sign for Dudwick. Travel a further mile approximately and turn left at the sign for Jackson Croft. Continue along, turning left onto a private track road signed Nether Arthrath, as indicated by our For Sale board. Continue until reaching the steading, which is on the left hand side of the road.